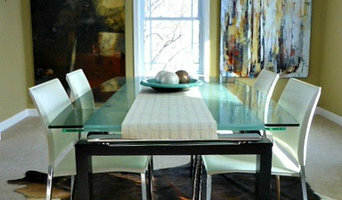 Martin Designs specializes in Real Estate staging, vacant property staging, and staging for living. Our certified team of home stagers can assist you with color choices, furniture placement, lighting, traffic flow, positioning of art or shopping for that specific something to make your home special and provide you with “Home Staging with a Vision”. On average, a staged home sells 2-3 times faster than an unstaged home - let us help you maximize your return on investment before your home goes on the market. Lead designer of Martin Designs, Susan has persude her passion in home staging and interior decorating. She came by her artistic talents honestly. Her family has owned and operated Crema Furniture for the past 50 years with work found across Canada and the United States. With a background in Urban Design, Susan had the opportunity to expand her creativity in Urban and Landscape Planning while travelling and working abroad. Susan also has a passion for photography which accents her role as a stager. The creation of Martin Designs brings “HOME STAGING WITH A VISION” to this industry. Award-Winning Design & Marketing Experts. Maximize the value of your model home, investment property or residential home by trusting Best Dressed Homes to showcase your property with quality, up-to-date rental furnishings and accessories giving it an up-to-date look that will inspire potential buyers to make an offer. As an award-winning interior design and marketing expert, Karen McMillan and her highly qualified team possess the expert knowledge in the creative strategies needed to prepare your home for the real estate market, giving home builders, investors and private home sellers the edge in today's real estate market. For those homeowners wishing to refresh or update their current living spaces, the Best Dressed Homes team of experts have the experience, resources and creativity to bring your dream home to life. We can assist with material and colour selection, redesign, furniture and decor shopping, renovating, remodeling or preparing your home for a special event or holiday. EFFECTIVE & AFFORDABLE HOME STAGING TO ENSURE YOU SELL FASTER, FOR MORE! We add the "WOW" to any space! 5 Star Home Staging Professional & Interior Decorator here to Serve you! At Dimples Décor, our goal is to provide our clients with the ability to create beautiful, peaceful places for clients to enjoy with our Interior Decorating Service and to capitalize on the true value of their home through Home Staging Services. Small business in Kitchener-Waterloo providing Home Staging, Interior Decorating & Design Services. Serving Home Owners, Realtors, Real Estate Investors, Contractors and Renovators. Married to Bob Molinari of Jakenzi Design Build Inc. (Sometimes referred to as Jakenzi Homes) for 17 years and absolutely love our homes.Each one customized the growing needs of our family. Until he separated in 2014. Favourite stage would be the actual framing. Always awesome to see the planning develop into the actual structure! This was a personal passion that grew into a career for my husband and myself.but not anymore . Anything I post is solely my own personal opinion. Liscious Interiors is a HomeStaging & Re-Design Company. Liscious works with Homeowners, Builders and Real Estate Agents to assist in the preparation of the sale of your home. Liscious works directly with clients with their re-design, colour selection, painting, furniture planning, furniture & home decor shopping. Let Liscious Interiors help you achieve your beautiful oasis you can be proud to call HOME! I am HSR Certified Professional Home Stager and Redesigner, have always had a great passion and natural talent for decorating homes. I enjoy challenge of working with clients’ own furniture and bringing in key pieces too personalize and modernize their spaces so it reflects their personalities and needs. I captivate the buyer’s attention the moment they see the property by creating a stylishly warm and welcoming home. Focusing on buyer demographics, special features or details of the house, strategic placement of furniture and accessories, creates a very powerful marketing tool.. An important aspect of my business is working with seniors I know how hard it can be during a transition time, when someone leaves a beloved home. I am passionate about handling this situation with compassion and care. Your Home Décor Coach offers to help with every aspect of their move from packing their belongings to contacting and coordinating the movers from start to delivery. I personally will unpack arrange and organize all furniture, clothing and personal accents. I have several years of experience and I pride myself on knowing what it takes to get your home sold quickly and for top dollar! Plum Staging & Decor offers a wide range of services that are fully customizable to your needs and lifestyle. These include: - Home Staging to ready your home for a quick and top dollar sale - Interior Styling, whether for a new home that's currently a blank canvas or a well loved home that could use some rejuvenation - Commercial Styling for the office that's in need of some updating to stay on the cutting edge Here at Plum, we understand how hectic life can be and thats why we also offer face-to-face, online, and telephone consultations. We want to ensure your experience with us is as comfortable as your space will be! Offering home staging consulting/coaching services to London and area. Will discuss what is the best way to prepare your home for sale !A home consult consists of a 1-2 hour walk through your home to discuss the following: paint de-cluttering and de-personalization furniture placement- depends if using existing furniture or home is vacant and needing to rent furniture Aesthetic repairs/decor,etc Home owner will be given a full report of consultation within 48 hour. IF YOU ARE A REAL ESTATE AGENT INTERESTED IN INCLUDING THIS IN YOUR LISTING PACKAGES,PLEASE CONTACT ME AT 226-377-6575. Homes with Style is an established home staging company. We are dedicated to renewing real estate with modern elegance for homeowners, real estate professionals, property investors and builders. Our home staging services are a professional marketing tool, that help showcase properties to their top potential, so they can sell fast for top dollar. Our philosophy is that people are important. In our eyes, staging is a complete relationship. We work hard to turn houses into homes that spark the imagination of buyers, but that’s only the beginning. At the core of who we are is our caring nature and compassion for our clients. We truly care and we are here to help your home sell. What does a Shedden home stager do? 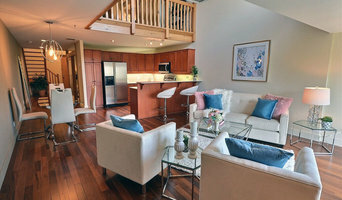 Home staging companies in Shedden, ON employ a variety of different techniques to present the home in the best light possible. The first step will likely be to make sure the home is impeccably clean, including the exterior of the house. Next the home stager will work on removing the personal touches that are unique to the current owners. Paint colors might go from dramatic reds and purples to neutral tones like beige and taupe, in order to appeal to the masses. The home will likely be cleared of family photos, risqué artwork, collections and knickknacks, so potential buyers will be able to better envision their own life in the house. In some cases furniture will be swapped out, and you might not even recognize your own house. Some Shedden home stagers tackle most of these tasks themselves, while others work with subcontractors and other professionals to get the job done. Here are some related professionals and vendors to complement the work of home stagers: Interior Designers & Decorators, Photographers, Real Estate Agents. The process of staging a home can be difficult for some homeowners, especially when being asked to change things you’ve poured your heart and soul into over the years; but try not to take anything personally, as the stager only has your best interest in mind and no intention of insulting your personal taste. Before you contact a professional home staging company in Shedden, ON, make sure to consider a few things: Are you willing to change your home and take the advice of this professional to help sell your house? Do you think your house would greatly benefit from the help of a stager? How long are you comfortable having your home on the market? A staged home is likely to sell faster and, on occasion, at a higher asking price than a non-staged home. While there is no guarantee this will always be the case, it’s often true and can make the entire selling and moving process a lot less stressful in the long run. If you are selling through a real estate agent, it’s a good idea to get their opinion on whether staging your home would be beneficial to your specific situation. Find a certified Shedden home stager on Houzz. Narrow your search in the Professionals section of the website to Shedden, ON home stagers. You can also look through Shedden, ON photos by style to find a room you like, then contact the professional who staged it.